My friend Molly, who I met at Alabama when we both attended RUF (Reformed University Fellowship) is a love big, live out loud kind of person. She’s as thoughtful as she is thought provoking, and she was spot on when she not too long ago questioned the quality of what people choose to donate. 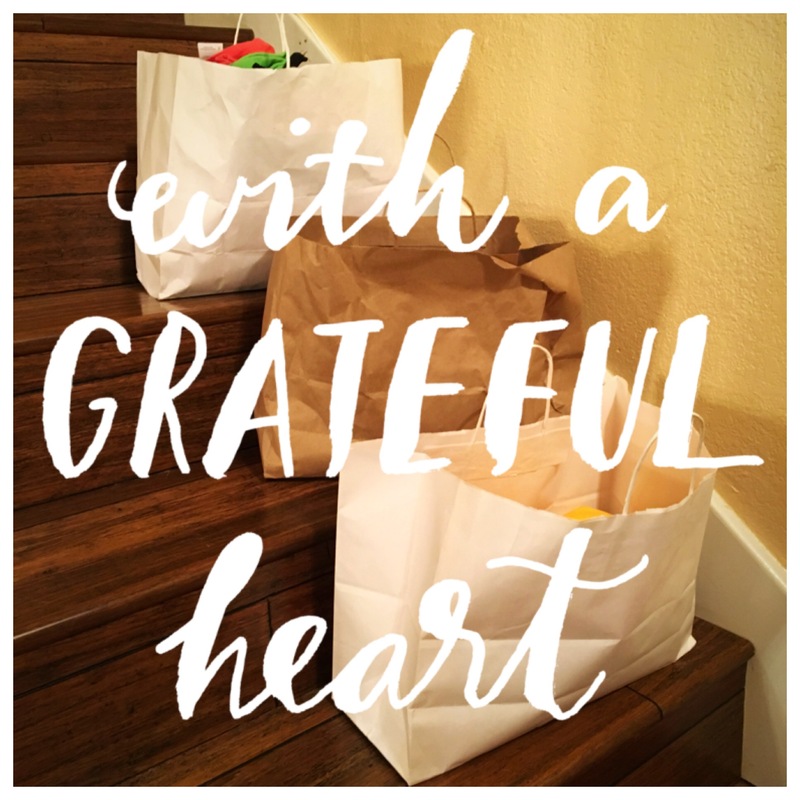 It resonated with me because I’m 100% guilty of hauling bag after bag to the Salvation Army – bags full of items that are “gently used” and then some. Her point was that we are called to give our best, not our discards. I think of her message often, and have started holding myself to a higher standard of what goes in the giveaway pile. But for the grace of God it’s not me shuffling through the bulging rounders of already worn outfits to clothe my family. When I shop at thrift stores, it’s because I’m supply hunting for a Pinterest inspired craft project – not for necessities. I often wonder how disheartening it must feel to be in that position – where everyone is expecting you to be grateful by virtue of your circumstance, and that it really shouldn’t matter if your only options have holes and stains and buttons missing, because it’s better than nothing. Those down on their luck deserve the thrill and satisfaction of buying something awesome as much as I do, if not more so. Not a board game with missing parts. Not a beat up, out of style lampshade. Not a book with scribbles in it. If I wouldn’t have it in my home, why should they? When my son outgrows his Saddle Oxfords, I’ll first take a Magic Eraser to the scuff marks and then shine them up like new. Before I donate the autumn bishop dress that no longer fits my daughter, I’ll starch it and then have the seamstress stitch up the part of the back that needs a little TLC. Instead of selling my pristine hardcovers for cents on the dollar at Half Price Books, I’ll donate them instead, hoping they make their way to the person who most needs to read the words they contain. As for everything else in my donation pile, if I wouldn’t buy it on consignment, it’s out of circulation. Period. While I try to make good use of what’s left over (t-shirts become dust cloths, dance tights happen to be awesome stake ties for my tomato plants – who knew? ), the rest goes into the trash, and happily. Every last one of us has our dignity, and none of us should be asked to settle for bottom of the barrel anything. Next Next post: Choose original art. Hi Rebecca. How thoughtful of you to remind folks of this. While volunteering one day weekly at Oak Mountain Mission in Pelham, we clothe people with donated items and toss the imperfect that we would not wear. It’s an eye opener. Thanks Susanne! I’m glad you all did that. I’ve heard wonderful remarks about Oak Mountain Mission and the work they do. Bless you for volunteering there. Thanks for your kind worlds Rebecca! As I read your words, I am reminded of something we say quite often in our home… The kingdom of God is most evident when the very least of these have the very best we can offer… praying that we all bring our best to the table for the beloved people of God. I will share these words with my children today after school! On a related note, I want to be more like you when I grow up. Thankful for our friendship, and what it teaches me. Love and hugs your way!